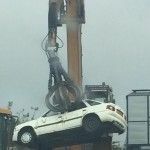 As R kirk Car disposal are a registered waste disposal company we guarantee to scrap your car legally and correctly. 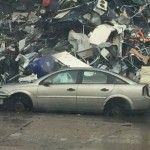 We pay good prices for your scrapped vehicle and will be beat most of the nationally companies who want them for free. The steps we take include collection of your vehicle, transfer your vehicle to a registered site and the vehicle is crushed for recycling. Before we take your car away we will notify the DVLA of change of ownership and Log books are stamped.